343 Industries has the difficult task of appeasing millions of fans that come to expect certain elements when it comes to the release of a new Halo title. As the start of a brand new trilogy starring Master Chief, Halo 4 is their major debut as a developer and a chance to show that they are up to the task of continuing the popular franchise. In my opinion, they not only do enough with Halo 4 to let fans know they can create a good Halo game, but have also created one of the best sequel-ed shooters in quite some time. Campaign was my first stop for Halo 4, and it really impresses. It does enough to satisfy while also setting things up for the next two titles. I found it to be well paced too, with enough action and cinematics to get the story going forward. Refreshing your mind with the ending of Halo 3 will probably help, but something that is not required to follow the game's roughly 7 hour campaign. Co-op play is once again available, so you can go through the game with friends and some skulls activated for fun. 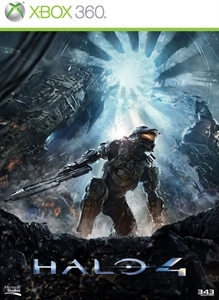 Halo 4 is a more focused story with the relationship between Cortana and Master Chief being at the center of events. Chief has never spoken more than in this game, and you'll be happy to hear what the heroic spartan has to say in this game. 343 has also prepared great additional content for the game aside from the usual multiplayer features. Spartan Ops is a episodic feature that contains cinematics and five missions per episode that will be released weekly for Xbox Live. The content is available for free and can be played in solo or co-op mode. 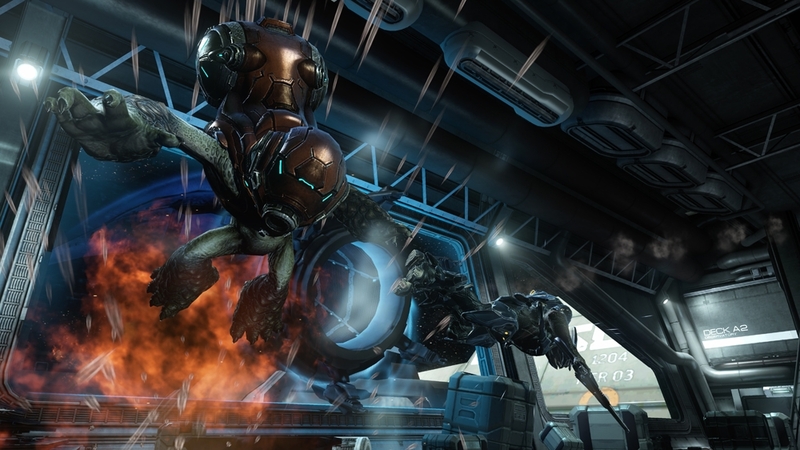 It's pretty well done so far for episode one, and allows you to use your multiplayer spartan and weapon loadouts. Custom Loadouts? Yep. That's new for Halo 4. Halo multiplayer has always been different from most other shooters with a great emphasis on vehicles and a small number of available weapons. While this remains true, elements from other titles such as Call of Duty have been mixed into the game. Don't worry though - these changes enhance Halo multiplayer for the better. War Games is the competitive mode features revamped gametypes like Flood, the new infection mode where its humans against infected flood Spartans, and Regicide, a FFA mode where players compete to be the number one king and earn more points for killing the top player. 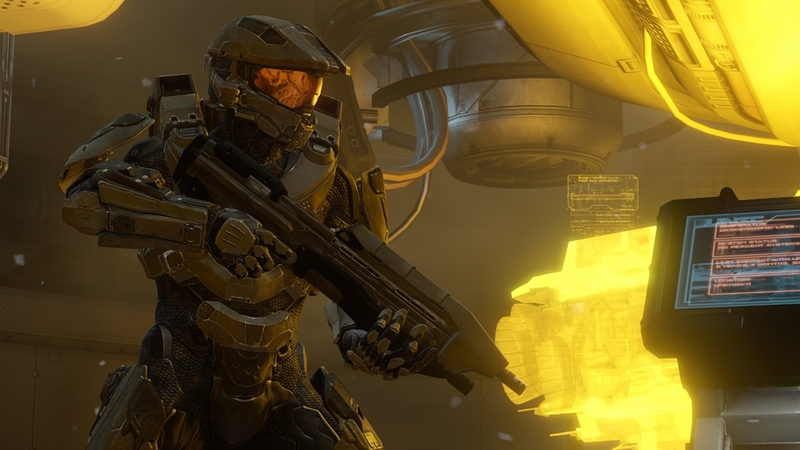 Ranking up in Halo 4 grants you points that can be used to build up your Spartan. Weapons such as the Battle Rifle and DMR are given to you fairly quickly to have in your loadout, since most of the power weapons are the only ones that randomly spawn on the map. You'll also be able to have certain abilities always available to you like sprinting, with others equip-able such as the jet-pack and active camouflage. Credits are gone in Halo 4 and these new points go towards unlocking new abilities and not Spartan armor, which is now unlocked based on challenges given and your SR ranking. Forge is back too, and making your own maps is easier than ever. With new additions such as locking placed items, putting items together with the magnet ability, and more items to make unique gametypes and creations, Forge gives the tools needed to make maps fast and varied. Another neat feature is the readjusted lighting, so objects will now cast better shadows and help make custom maps look better than ever. The presentation in Halo 4 is top notch. From the amazing visuals to the great new weapons and sound, there's plenty to like about this title. The new Promethean enemies are visually nice and help provide new tactical situations for players. 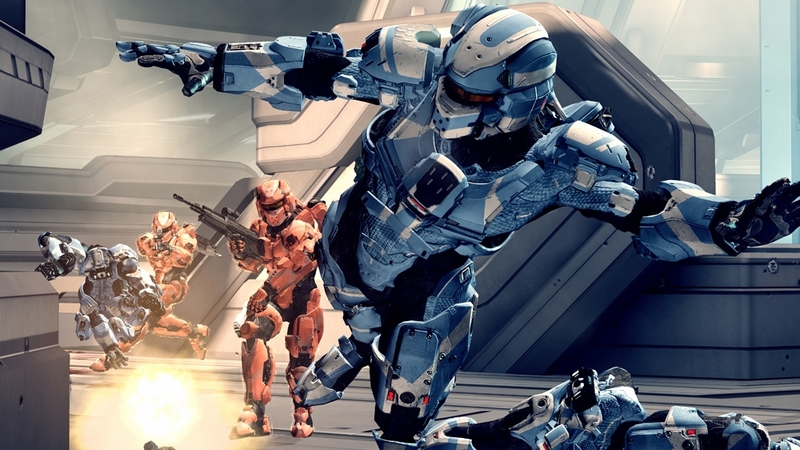 Simply put, you'll be getting a lot of gameplay for $60 with Halo 4. 343 can take a breather. They have improved upon the Halo formula, while pushing things forward in a respectable manner that makes you want to keep playing to see what they will do next. Master Chief is back, and you'll want to step back into his Spartan shoes. "The Master Chief returns to battle an ancient evil bent on vengeance and annihilation. Shipwrecked on a mysterious world, faced with new enemies and deadly technology, the universe will never be the same. Enlist aboard the Infinity to experience Halo’s original multiplayer and Spartan Ops - innovative episodic fiction-based co-op missions."